Sgt. Bilko’s Vintage Emporium is a unique venture situated in Fargo Creative Village in Coventry. 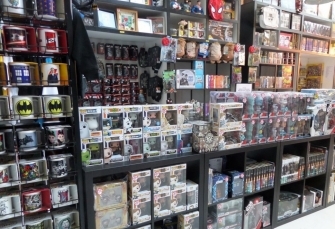 The Emporium specialises in vintage and modern film, stage and television memorabilia with a strong emphasis on everything ‘cult’ and caters for a wide range of tastes. Offering a varied and revolving selection of rare autographs, books, magazines, FOH stills, DVD/Blu-Ray's, collectors toys, models, limited editions, framed photos, childrens toys, trading cards, soundtracks, quad posters, comics and standees. Proprietor Steve Everitt is an avid memorabilia aficionado and collector and brings a wealth of experience to this new venture. Co-founder of The British Phil Silvers Appreciation Society, Steve was heavily involved with the 2014/2015 DVD release of The Complete Phil Silvers Show and is currently working on a number of Phil Silvers related projects. Sgt. 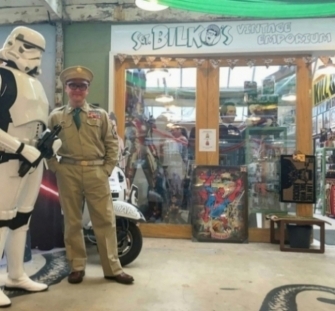 Bilko's Vintage Emporium is also home to THE PHIL SILVERS ARCHIVAL MUSEUM. 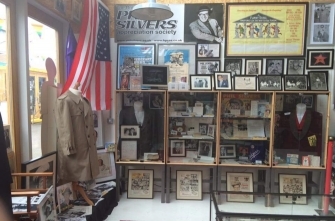 The Museum is dedicated to the life and work of actor/comedian Phil Silvers and houses a generous display of personal effects and items, posters, photographs, letters, books and memorabilia. Doors officially opened on November 1st, 2015 – the 30th anniversary of Phil’s passing and received extensive press, radio and television coverage. Entry is free and all fans and admirers of Phil Silvers are welcome.